Open-ended play = play with no rules = child-driven play! Examples of closed-ended materials would be single-use toys like cars or puzzles, where a finished product is expected or an outcome is per-determined. 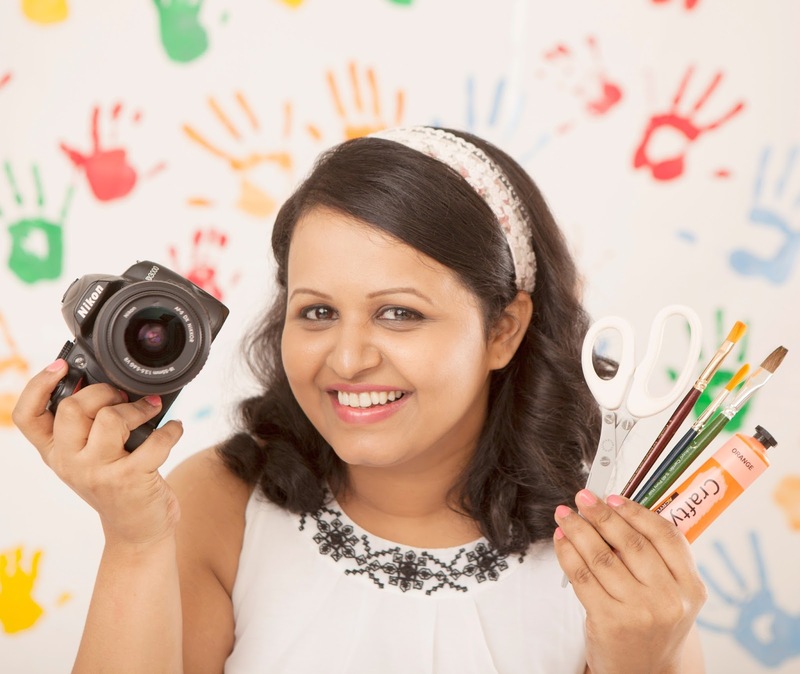 All I did was choose and provide Shaunak with some open-ended materials for play. We had played a lot with sand and a lot with play dough, so I made some sand play dough for him using material at hand. First day he designed make-believe island with sand-dough, shells and marbles. Next day he rolled out flat breads out of sand-dough, and served us for lunch along with marbles curry and shells as spoons. Third day, made castle out of it and used shells as flags. Just imagine the power of these open-ended materials! An open-ended play can give child a powerful learning experience. No rules to follow, no expectations and no problems to solve. Open-ended play materials possess limitless possibilities and have multiple uses. See your child design make-believe things or pretend play or just cook up stories around these materials! Open ended play encourages creativity. 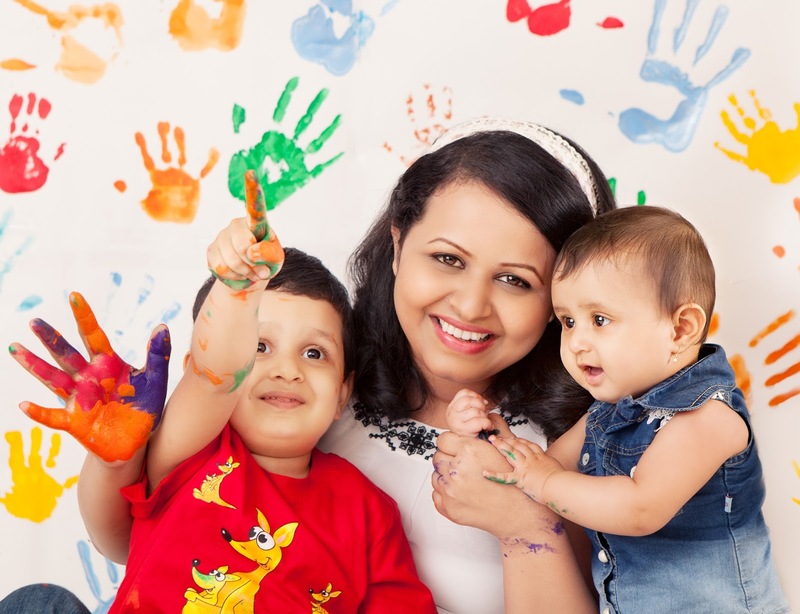 It is important for a child to communicate through the senses using touch and texture. 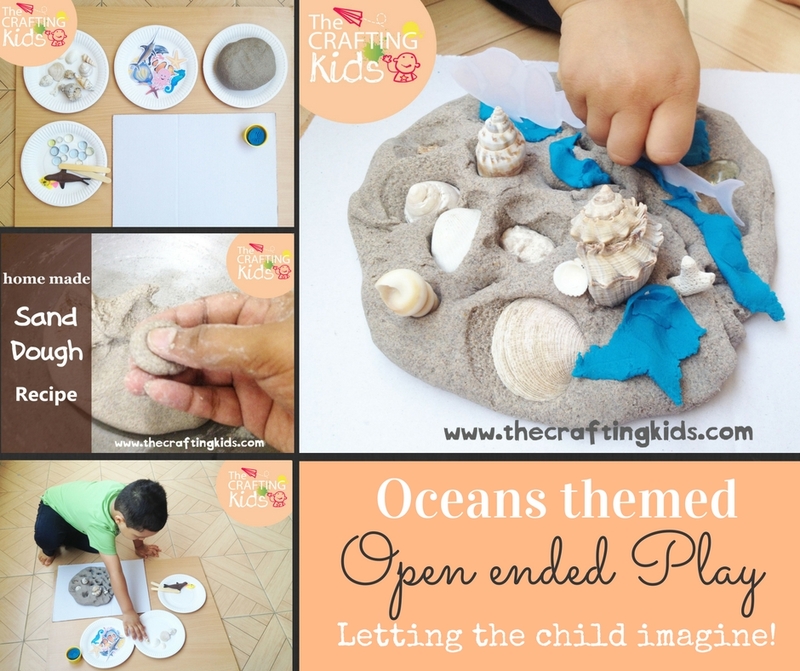 Open-ended play encourages a child to use his imagination. Though adults should not control the play, supervision is must! 7. Various creative bits like popsicle sticks, tiny fish toys, etc. I made a simple setup for my son, by arranging materials in plates and recycled cardboard to place his creation (if he wants to). He was little amused to see all the material. When I asked him what he wants to make today, he said- 'Island'! 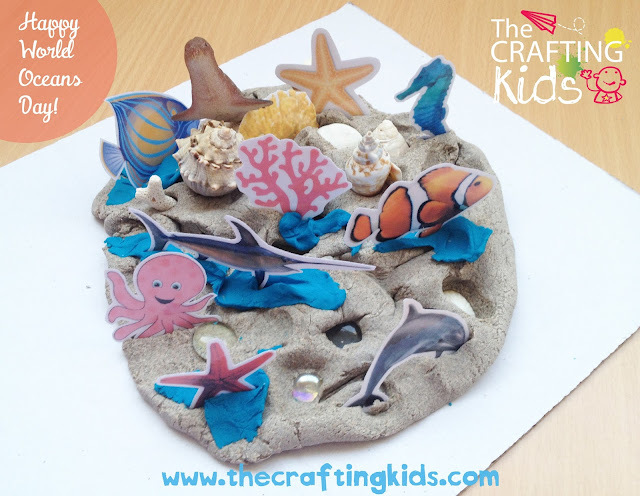 He first took the sand-dough and placed it onto the cardboard piece in shape of round island. Then he said I want to decorate it. He then placed glass marbles onto the sand-dough, almost pierced them inside. Then placed the laminated pictures, little toys and shells onto the island and used the blue play dough to create beach waves crashing onto the island shore. Except water, mix all the above ingredients in a large pan or bowl. Add the boiling water and mix well. Let it cool and be warm. Knead it to play dough consistency, add more boiling water if required. Let it cool completely. Store it in an airtight container. I tried engaging him as he created the island, by asking “What is it that you're making?" or "Where is the star fish?" or "Is the Octopus smiling?". I tried to encourage him to be more creative and insightful! Children like to move at their own pace and so this kind of play allows them to be calm and take no pressure.